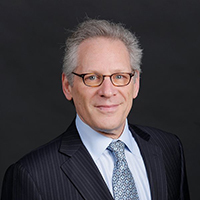 In 1984, Stew Friedman joined Wharton, where he is the Practice Professor of Management, having earned a PhD in Organizational Psychology from the University of Michigan. In 1991, he founded both the Wharton Leadership Program and the Wharton Work/Life Integration Project. In 2001, he concluded a two-year assignment (while on academic leave) at Ford Motor, as the senior executive responsible for leadership development worldwide. Stew has been recognized twice as one of HR’s Most Influential International Thinkers and as one of the “world’s top 50 business thinkers” three times by Thinkers50. He is a leading voice in advocating for change in social and corporate policy to make it easier for people to find harmony between work and the rest of life. In 2015, he won the Thinkers 50 Distinguished Achievement Award as the world’s #1 thinker in the talent management field. He’s published 50+ digital articles for HBR.org, including one listed first among Harvard Business Review’s Ideas that Shaped Management in 2013. He was chosen by Working Mother as one of America’s 25 most influential men to have made things better for working parents, and was recently honored by the Families and Work Institute with the Work Life Legacy Award. His most recent book, Leading the Life You Want: Skills for Integrating Work and Life (Harvard Business, 2014), was a Wall Street Journal bestseller. And his earlier book, Total Leadership: Better Leader, Richer Life (Harvard Business, 2008), also a bestseller, is now in eight languages. An award-winning teacher, he appears regularly in business media throughout the US and abroad (The New York Times cited the “rock star adoration” he inspires in his students). His Total Leadership program, which he created with his team in 2000 at Ford Motor, is used by individuals and organizations worldwide, supported by Total Leadership Online, the social learning site he launched in 2009. And he has taught over 150K learners in his highly-rated MOOCs on Coursera.